As Vice President of Development for the Menkiti Group, Mark leads the acquisition and development of multi-family, neighborhood commercial, and office projects. In his tenure with the Menkiti Group, Mark has delivered market-rate multifamily, affordable LIHTC-financed multifamily, neighborhood commercial, and office projects. He is currently working on the adaptive re-use of a historic city block in Mount Rainier, Maryland, a charter school project in southeast Washington, DC., and a government office facility in Washington, DC. 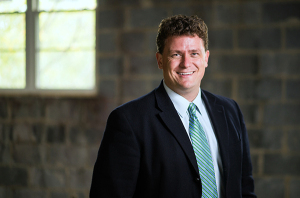 As a licensed architect in DC and Virginia, Mark has previously served as lead architect and project manager for a wide variety of projects for several highly recognized institutions including the Army Corps of Engineers, US Air Force, US Navy, US Department of State, Architect of the Capitol, National Park Service, Smithsonian Institution, Gallaudet University, and the District of Columbia Superior Courts. Mark earned his Bachelor of Architecture degree with honors from the University of Notre Dame. He is a licensed architect and LEED accredited professional and a former Captain in the United States Air Force. Mark is also a member of the American Institute of Architects and the National Council of Architectural Registration Boards. He enjoys spending time with family, composing on the piano, and playing ice hockey.